iPhone 7, iPhone 7 Plus & Apple Watch Series 2 to Support FeliCa. Everyday consumer payment may be changing as Apple is introducing Apple Pay in Japan. Apple has announced that iPhone 7, iPhone 7 Plus and Apple Watch Series 2 will bring customers in Japan the ability to use Apple Pay, an easy, fast and secure way to pay for everything in their daily routines, beginning in October. Users can commute and pay for everyday items with Suica from JR East, and make convenient and private credit and prepaid card purchases in stores, apps and on the web with a single touch. Apple is also introducing support for transit in Japan with Maps in iOS 10, so commuters can easily find ride details, including fare breakdowns that automatically show Suica pricing right on their device, making their commute more seamless and simpler than ever. 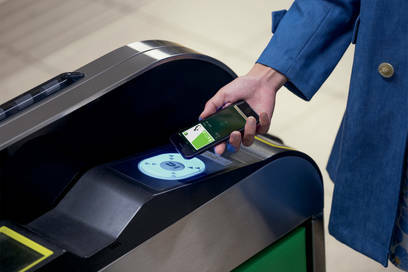 Apple Pay is accepted anywhere Suica is available, so users can make quick everyday purchases and buy or reload a Suica card or commuter pass, all with their iPhone. But Apple Pay is not only being introduced for commuters. Japan’s major financial brands will also support Apple Pay, so shoppers can make purchases in many of the country’s largest stores, at neighborhood shops and restaurants, and from their favorite online merchants.